Puerto Rico is a very attractive option for Americans looking for beachfront property at prices that are among the most affordable in the Caribbean. Because the market in Puerto Rico was hit, like the rest of the world, by the housing crisis, the government has launched a number of tax and housing incentives designed to spur recovery. And because Puerto Rico is a commonwealth of the United States, Americans face no restrictions on purchasing property. That said, there are a number of reasons why the first thing you hunt for in Puerto Rico is a reputable and established real estate agent like Grand Homes. The real estate profession in Puerto Rico is not regulated in the same way as you might expect, and for this reason, it is a bit like the wild-west. There is an MLS system, but it is not used by all agents. Properties listed there are very often out of date, already sold or inaccurately represented. It is very difficult to find comparable sales data. Trying to find a property using the MLS alone will likely be a frustrating and time-consuming process. Although English is the official language of Puerto Rico, the fact is that many of the people you will need to deal with as you look for, finance and purchase your home will not speak English well-enough to conduct real estate transactions in English. This includes notaries, lawyers, bank officials and sellers. Because many of the procedures involved in purchasing property are non-standardized and subject to negotiation, your best interests are served having a local professional able to ensure that you are protected. 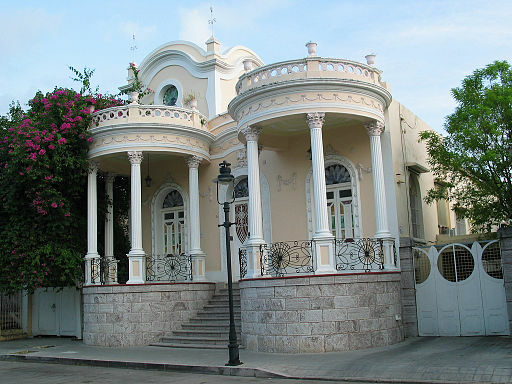 The process of purchasing property in Puerto Rico is quite different. Many purchasers who have gone through the process of buying property in the mainland US might expect that the process follows clearly defined rules and is basically a straight business transaction. However, that isn’t the case in Puerto Rico. Much of the process is negotiated rather than rule-bound. Deals may be negotiated to a certain point only to have the seller decide at the last moment that he doesn’t want to sell after all. Or, you could decide yourself that you are no longer interested. Sellers generally prepare their own contracts and you need someone who knows the ins and outs of the process. It is not common to find buyers’ agents – generally, agents will have agreements with sellers. This means that agents show you their properties, and then you will need to find another agent if they have nothing else that fits your needs. This means that the hunt can involve trying to establish trust relationships with many different agents. For this reason, it is important to find an agent with a large inventory of the kinds of properties you are looking for. For all of these reasons, make sure that you do your homework to locate a reputable agent who can work with you buy your dream home with out a hitch!